US Sports Network Spotlight: Turkish Get Up: Monika Marx of Marx Conditioning and her assistants run through one complete rep of the Turkish Get Up. Behind the Scenes at Peapod Coupon Codes! US Sports Network Spotlight: WRESTLING CONDITIONING!! Time to start eating clean again and get in the 160 area! Play Like A Pro? Train Like A Pro! Play Like A Pro? Train Like A Pro! : It's time to see why Go Pro Workouts is the #1 Provider of Sport Specific Training for Athletes. (Live) US Sports Network Spotlight: 2016 Slovak Cadet Open, ITTF Junior Circuit, 29 - 31 Oct '16: Subscribe here for more official Table Tennis highlights: http://bit.ly/ittfchannel. Watch day 3 from the 2016 ITTF Slovak Junior & Cadet Open. Monday, October 31 Volleyball hosts Virginia Union University 7:00 p.m.
Friday, November 4 Bowling at Virginia Union University Invitational 9:00 a.m.
Saturday, November 5 Bowling at Virginia Union University Invitational 9:00 a.m.
Football hosts Elizabeth City State University 1 p.m.
Men’s Basketball Exhibition at George Washington University 3 p.m.
Volleyball vs. Salem International University 5:30 p.m.
Volleyball at Shepherd University 8:00 p.m.
Sunday, November 6 Bowling at Virginia Union University Invitational 9:00 a.m. US Sports Network Athlete Spotlight: Morgan Currie #50 - 5'8 F Class of 2017 Recruiting Video!! US Sports Network Athlete Spotlight: Morgan Currie #50 - 5'8 F Class of 2017 Recruiting Video!! : Morgan Currie #50 - 5'8 F Class of 2017 Recruiting Video!! US Sports Network Athlete Spotlight: Ellen Cramer-Todd U.S. College Tennis Recruitment: Ellen Cramer-Todd's U.S. College recruitment video. US Sports Network Spotlight: High School Football WAVE BEATS WILTON 35-3: Darien climbs to 7-0 beating Wilton 35-3 in its last home game of the regular season on 10-29-16. The hits just a keep on coming with our friends at Hitchfit! I have heard some feedback from some of you, while being inspired by these amazing transformations, you have intimated that you may not want to step on stage. That you want a healthier, stronger body. I am in full agreement with that line of thinking by the way. Keep this in mind; everything we do in the world of fitness now has its roots in the world of bodybuilding. We have many ways to apply those things but the foundational principles are the same. So enjoy today's transformation and feel free to contact me or click here to chat with one of our Hitchfit trainers today so that soon I will have the honor of hearing all about your amazing transformation. I started my fitness journey when I was young something I owe to my parents. They instilled in myself, and my two brothers the importance of Balance in Life. You work hard but include your Faith, Family, Friends and time for ones self doing what you love. I loved Sports, I loved working as hard as I could to develop skills that would make me improve at what ever sport I was playing at the time. I started with soccer at age 4, played every sport available in Elementary school and because of time constraints I could only play Varsity Football, Soccer, Basketball and Track In High School. I was fortunate enough to excel at most of these sports but my passion ended up being football. I had worked hard and it paid off being recruited to some of the top teams in the Country and decided on the Acadia Axemen of Acadia University in Wolfville, Nova Scotia. This allowed me to continue my fitness Journey and also continue to my dream of being a professional Athlete. I had a great University Career achieving Academic All-Canadian, 2nd Team All-Canadian, and awarded The East vs. West University All-star game MVP. I thought I was on a path to be drafted but unfortunately I was not. The dream of becoming a pro athlete was not going to become a reality or so I thought. It was not until I found the love of my life two years later that my fitness Journey continued. Although, I was done playing football, I continued to train and live a healthy life with a great balance as I was taught as a kid growing up but with no goal in mind just training for life. The next phase of my fitness Journey began when my Fiancé, Jayne Campbell, called me “husky”. No joke. I was living the Sales professional life selling Medical Devices into Hospitals I was out for dinner every day of the week and put on some unwanted weight bringing my once 190lbs football player frame to a unhealthy 235lbs. and 24% body fat in a very short amount of time. I say that she called me fat but it was 100% needed. I was once always a self-confident man and even though I was still confident I noticed little things I would do to mask my own feelings about my added weight. Jayne Campbell challenged me to train with her for her next show. I accepted the challenge and with 5 short months. I lost 50lbs and won my Pro Card at the Atlantic Canadian WBFF Championship in May of 2012. I did it, I became a professional Athlete and on top of this my life partner achieved this same goal the exact same day. We took an entire year off of competing realizing we both had a lot of work to do before we made our Pro Debut at the 2013 WBFF World Championship. I was awarded my Pro card in the Male Fitness Model Category but as I trained for my next show realized I would be too large at 6’1 and over 190lbs to fit the look as a Fitness Model. 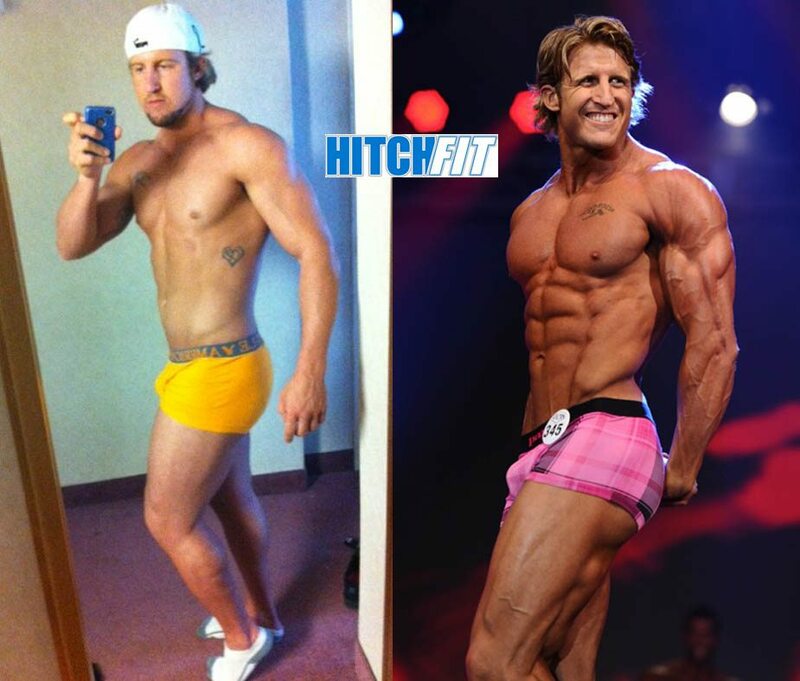 I decided to make the switch to Pro Muscle Model and started to make the transformation. I trained like a football player again lifting heavy weights and eating a lot of Calories. I did not let up all year I pushed harder and harder watching the months pass by. I put on some great weight and had personal bests in my lifting all year long. Like any story when everything is going this well there always has to be a twist. My Fiancé and I had a set back in March/April of 2013. Her father passed away suddenly and I quickly lost the balance in my life that I always had. I opened my doors to her family and did everything I could to do to take the pain away from my best friend. I started missing work outs, started missing meals, started getting into some bad habits again but I had to take care of her and her family now my family. We knew we had fallen far from our goals and knew her father would not want our lives to suffer because of his passing. Jayne and I made a commitment to each other to make the right choices and complete our goal of making our pro debut in Las Vegas August 25th. We used her father passing away and all the emotions around this as strength to make it through those tough days. We trained together, we ate together, we did everything we could to push each other through this dark time. This started my Journey to my pro debut. I started with Micah at 225lbs and about 16% body fat, 34” waist. I have never been pushed harder in my life. I took every challenge put in front of me and performed with the utmost determination and dedication. I ate more food than I have ever ate, I sprinted up so many hills, I pushed through slight set backs to continue my journey and I did it. 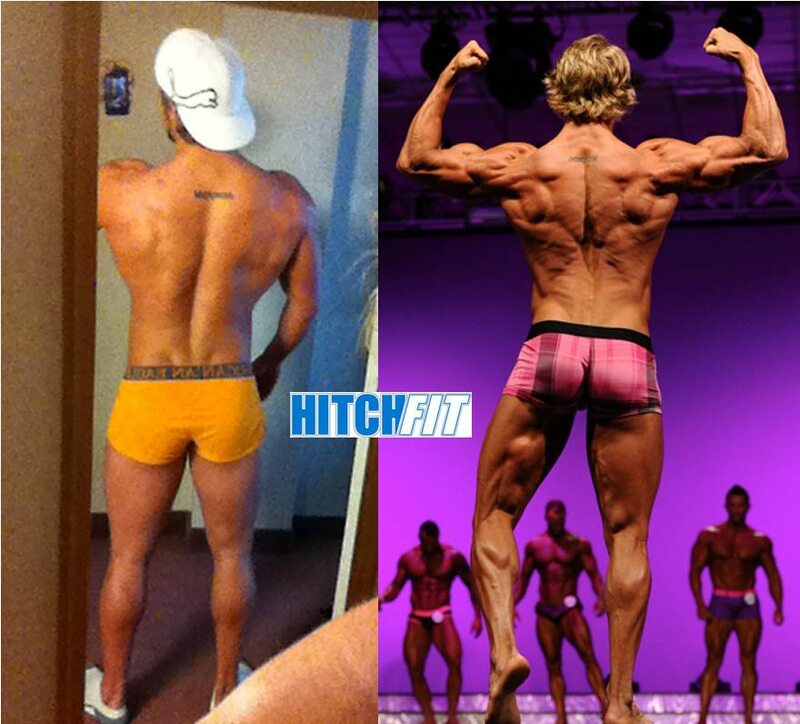 Over the 4 months I was with Team HitchFit I continued to loose body fat but not weight. By month three I was only down 10lbs but was down over 7% body fat. I was building muscle while leaning out, almost every Competitors dream. Micah knew that I wanted to bring my best to stage and I would not back down from any challenge he put in front of me. I was able to keep my balanced life and train harder than ever before. I had the best year in sales I have ever had increasing my territory sales from 5 million dollars to over 9 million dollars, I spent time with my friends, my family and, I always had time for my 2 dogs and the love of my life Jayne. The last month I was elated as I had achieved my goal and barring any injury I would be making my Pro Debut. Although, I was nursing a hamstring tear Micah was able to adapt my workouts to ensure I was still building muscle and burning fat. We flew to Las Vegas Aug 21st and I was provided an opportunity to shoot with a International Fitness Magazine. The first experience like this and it was all because of the work I had put in the past year. I was 210lbs leading into the last week before the competition. That is 25lbs heavier than the year before in 2012. I stepped on stage and had the time of my life. I have never been treated more like a super star, The Red Carpet, the photo-shoots, the interaction with other competitors, and the World Class stage. I was fortunate to be in the situation I was in. I had the time of my life and I cannot wait to do it all over again next year. I was on stage with some of the worlds best and held my own up there for my Pro Debut. I cant thank Micah enough for putting the plan in front of me that if I was able to follow every step I would be in the best shape of my life. I trusted the plan and it worked. 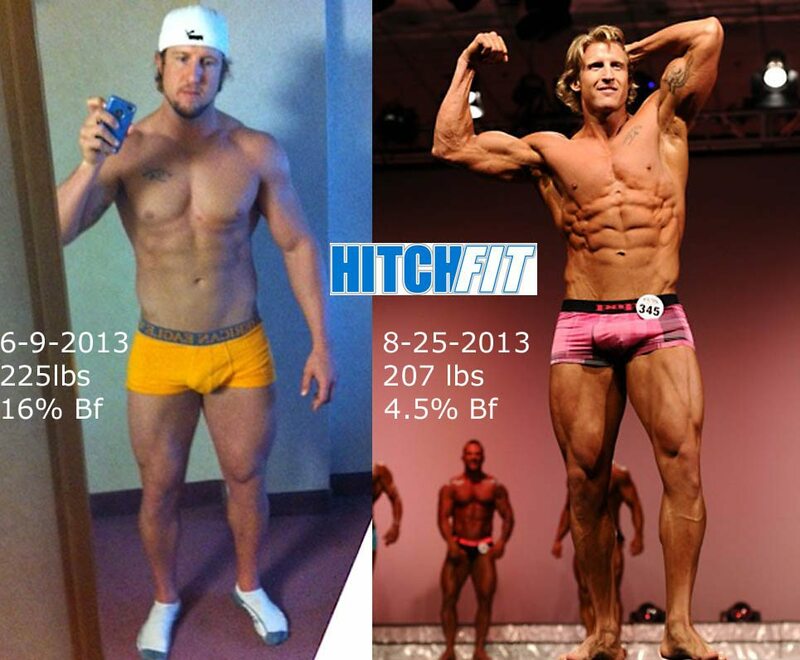 I stepped on stage at 207lbs and 4.5%-5% body fat. I have to thank The WBFF for giving me a platform to achieve a life long goal of being a Pro Athlete and to continue to inspire others who have this same goal. My family and friends always supported me and encouraged me to be great and that pushed me through a few tough times. Lastly I have to thank my best friend and soul mate that hired Micah with Team Hitchfit for me and believed that I was one of the best athletes in the world and with out her support I would not have achieved my full potential. Follow along this years Journey and watch the Road to the WBFF World Championships. US Sports Network Spotlight: 2016 (Big 12) Football Highlights: (From) the official YouTube channel for the Big 12 Conference. Moosejaw Test Lab and Tons Of Coupon Codes! US Sports Network Spotlight: SPORT SPECIFC TRAINING - RUGBY CONDITIONING. US Sports Network Spotlight: The Kinetic Matrix: Dr. Rhett Polka discusses the importance of the Kinetic Matrix when it comes to evaluating and treating orthopedic injury and increasing athletic performance. Million+ Targeted Customers Each Week With US Sports Network! promote your business to so many potential customers? Live US Sports Network Feature: Hope College v. Kalamazoo College - NCAA D3 Men's Football & More! The US Sports Online Strength and Conditioning System: Attention All Athletes and Fitness Warriors! If you want to get into Great Shape You Need a Great Plan! You have the desire? Then here is the plan. RICHMOND, Va. – The Bowie State men’s cross country team finished 3rd with 109 points, while the women claimed 4th place with 127 points at the 2016 CIAA Cross Country Championships held at the Joseph Bryan Park on Thursday, October 27th. The men ran an 8-kilometer race, followed by a 5K run for the women. The Lady Bulldogs had a team time of 106:21.90 and an individual average time of 21:16.38, led by sophomore Kayla Tucker. Tucker completed the course with an individual time of 20:21.71 to place 13th overall. Freshman Zuwena Johnson (Upper Marlboro, Md.) had the next best time for the Lady Bulldogs of 20:40.12 for 19th overall. Sophomore Kayla Wright (Clinton, Md.) posted the third best individual time of 21:06.17 to place 24th. Freshman Kyaja Williams (Baltimore, Md.) recorded a time of 21:28.09 to finish 28th, while freshman Kennedeigh Hairston (Waldorf, Md.) rounded out the Bowie State women runners with a time of 22:45.81 for 43rd. Winston-Salem State won the women’s championship for the second consecutive season with 27 points and a team time of 96:31.81. Domtila Kiplagat of WSSU claimed the individual medalist honor for the second consecutive year with a first place time of 18:35.35. Virginia Union finished second overall (105:08.97), followed by Johnson C. Smith in third (105:46.93). On the men’s side, junior Michael Aregay (Lanham, Md.) had the top Bulldog time of 29:44.47 for 9th place overall and Markese Miller was right behind with a time of 29:50.70 to place 10th. Aregay and Miller earned All-CIAA honors by placing in the top 10 in the men’s race. Bowie State’s men had a combined team time of 159.40.78. Sophomore Robert Thomas (Kingston, Jamaica) crossed the finish line with a time of 30:25.87 to place 12th while freshman Kevin Glasper (Laurel, Md.) finished 14th with a time of 30:30.15. Junior Deandre Watson (Bowie, Md.) completed the Bowie State men’s competitors with a time of 40:42.22 and 67th place. Virginia Union won the men’s crown for the third straight season with 32 team points and a team time of 146:07.52. Luis Nieves of VUU finished as the male individual medalist for a second year in a row with a course best time of 27:47.99. Virginia State placed second overall (153:33.12) followed by Bowie State. Virginia Union, Virginia State and Bowie State BSU finished in the same respective order at the 2015 championships. Believe that something MUST change. You can't be wishy-washy about it. You can't be considering it. You can't even be pretty sure about it. You've got to be rock solid. Believe that YOU must change it. You can't pass the buck of responsibility and expect to lose weight. It's on your shoulders. Other people will prove to be great assets in your journey, but in the end you are the one who is going to make it happen. You have to want this weight loss enough to make it your personal mission. Believe you CAN change it. You may have failed in the past, but that doesn't matter. When you put your mind to it, you're able to do amazing things. Do you believe that you are capable of losing weight? Once you own the belief that you can, you'll be unstoppable. Your excuses for being out-of-shape are getting old. An excuse takes less immediate effort than an action, but in the long run the action taker always has the advantage. Don't allow excuses to ruin your life any longer. Focus on the big reason why you are losing the weight. Make a list of the benefits you'll enjoy once you achieve your goal, and read them first thing each morning. How many times have you tried to lose weight, only to give up a week or two later? We live in a commitment-phobic world, so it's no wonder that you routinely abandon your goals. If you truly want to lose weight then your commitment to the process is a must. Treat exercise with the same importance as a work meeting, and you'll never skip it at the last minute. Find three available 60-minute time slots in your schedule and mark them (in pen) on your calendar. Now stick to your schedule. If you consistently eat the wrong food, then you're weight loss efforts will all be in vain. To put it bluntly, you need to stop eating junk. Processed foods, refined sugar and high fructose corn syrup do not belong in your diet if you want to be in great shape. Cut these items out of your diet and replace them with real whole foods like lean meats, vegetables, whole grains, nuts and fruits. Don't eat processed foods. Even though processed foods are accepted by our society, they contain tons of chemicals and empty calories that will make you sick and fat. Remember that anyone can have one great workout, but that won't get you the body you want. The only way to achieve your goal is by consistently exercising and eating right, plain and simple. Find a workout partner who is in better shape than you, or better yet, work with me, your on-call fitness expert, to guarantee your results. When you start a program with me, you suddenly have the upper hand on weight loss. I'll be in your corner, coaching you each step of the way, keeping you accountable to workouts and giving you that dose of encouragement when you need it most. Click here, fill out the fitness profile form and let me get started on your customized program that you will have full access to online training on your schedule at your favorite gym, or workout space. US Sports Network Spotlight: 2016-2017 College Football Highlights: The #1 most subscribed and viewed College Football Highlight Channel on YouTube! US Sports Network Athlete Spotlight: Jalen Greenhill #34 - 6'1 Guard Class of 2017 Recruiting Video! US Sports Network Athlete Spotlight: Jalen Greenhill #34 - 6'1 Guard Class of 2017 Recruiting Video! : Jalen Greenhill #34 - 6'1 Guard Class of 2017 Recruiting Video!! US Sports Network Spotlight: Strongman strength and conditioning workout for rugby training: This 'loaded carry medley' is high intensity with short rest periods between each exercise - and it's very challenging. US Sports Network Athlete Spotlight: Recruitment video Track & Field, 100 & 200. Maria Delfina Lobbo: Maria Delfina Lobbosco. 100 & 200 sprinter. Graduated in the class of 2015. Argentina. CHARLOTTE, N.C. – The Bowie State University duo of graduate student Kevaugn Townsend and senior Nyme Manns have been selected as CIAA Linebacker and Receiver of the Week respectively by the conference's head coaches and Sports Information Directors on Monday afternoon. 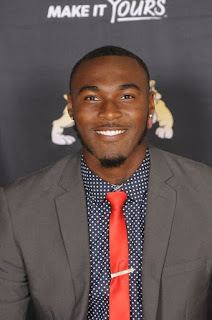 Townsend appeared all over the field on Saturday vs. Virginia Union, racking up a game-high 13 total tackles, which included one sack for nine yards and he recovered a fumble while Manns recorded game-highs of seven receptions for 132 yards and scored the Bulldogs opening points of the game. 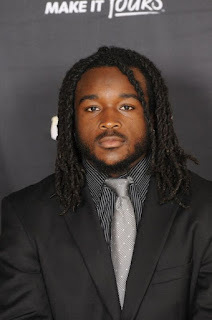 Bowie State travels to Lincoln (Pa.) University this Saturday (October 29th) for a conference game against the Lions. Game time is set for 6 p.m. in Lincoln University Stadium. US Sports Network Athlete Spotlight: Mercedez McLeod Softball Recruitment Video Class of 2017: Softball Recruitment Video for Mercedez McLeod, Class of 2017. Hey there Athletes and Warriors! You could right now be hitting the slopes, Screaming around the Ice Rink, or attempting your first 360 on the "Rad (Snow)Board"
Winter Sports Program The Winter Sports Program was developed to enhance the physical qualities required in skiing, snowboarding, and ice skating. This program will focus on overall body strengthening and conditioning, but will also focus on leg power and endurance. Enhanced strength and muscular endurance allows for more enjoyment while performing a sport, as well as helping to prevent injuries. The Winter Sports Program will begin with lower weights and higher repetitions to create a solid conditioning base for the muscles. Then, a transition from this muscular endurance base into a strength and power focus by using heavier weights and less reps as the weeks progress will occur. Throughout the length of the program the manipulation of the sets and repetitions of the weight training workouts will be based on periodization concepts that involve a variation of training phases that will develop muscular endurance and strength. The starting point of the workout is based on an initial fitness level. With feedback, the actual progression of the program will follow the body's unique adaptation process to exercise. Fine tune the program to include all the exercises that feel the best. You can preview what a week might look like for any program by filling out the fitness profile form and specifying which sport you wish to train for.